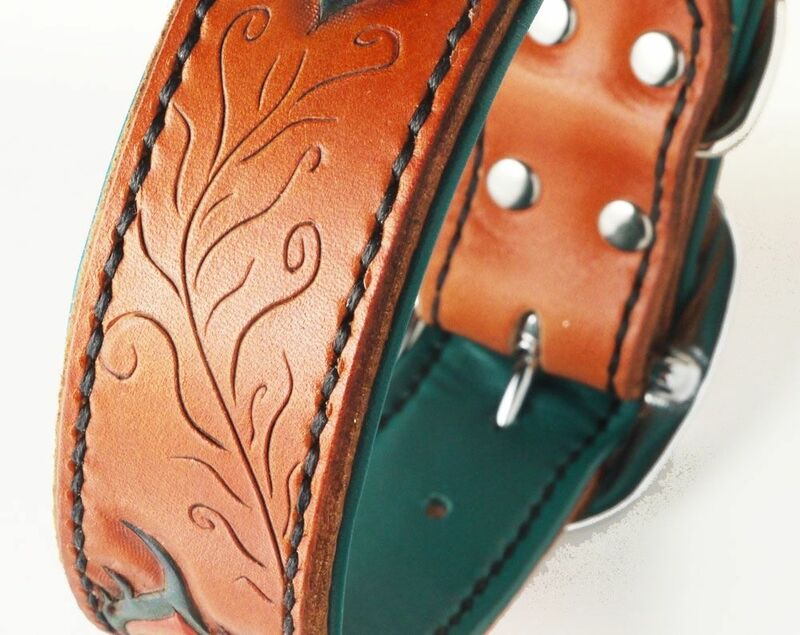 This collar was inspired by the magnificent Peacock. Peacocks are one of the most colorful and strikingly adorned birds. Let your pup proudly display their colors wearing this collar. The width of this collar is 1.5" wide with a hand-stitched lambskin lining in turquoise. Each Peacock feather is drawn directly on the leather, stamped and painted in bright blues, greens, yellows and oranges. The plumage is represented by free hand scroll work with a swivel knife and then accented with an antiquing gel to bring out the patterns.